Seven places are available for Germany’s men, but only six athletes will participate in the World Championships in Paris after the cancellation of Christian SUSS due the injury. 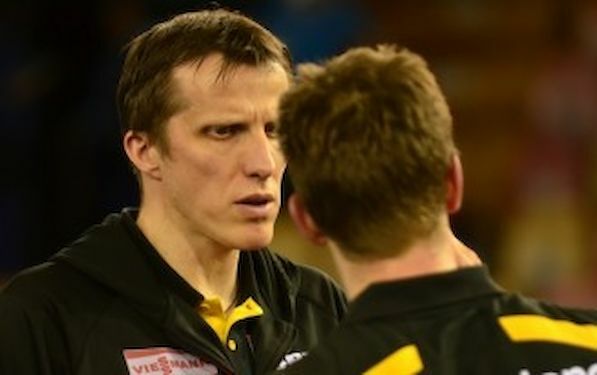 That’s what the German coaches’ team with men’s head coach Jörg ROSSKOPF, his assistant ZHU Xiaoyong and DTTB Sports Director Dirk SCHIMMELPFENNIG decided after a training camp in Düsseldorf last week and last weekend’s Bundesleague matches. Christian SUSS who participated in World Championships nine times so far will undergo a knee surgery to repair cartilage damage on Wednesday and will probably have to pause for six months.